FROM HELL occupies a monumental place in the history of the graphic novel: a Victorian masterpiece of murder and madness, it’s won numerous awards, spawned a major Hollywood film, and remained a favorite of readers around the world for over two decades. 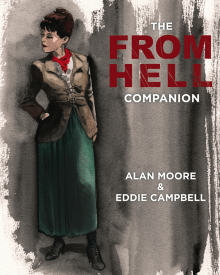 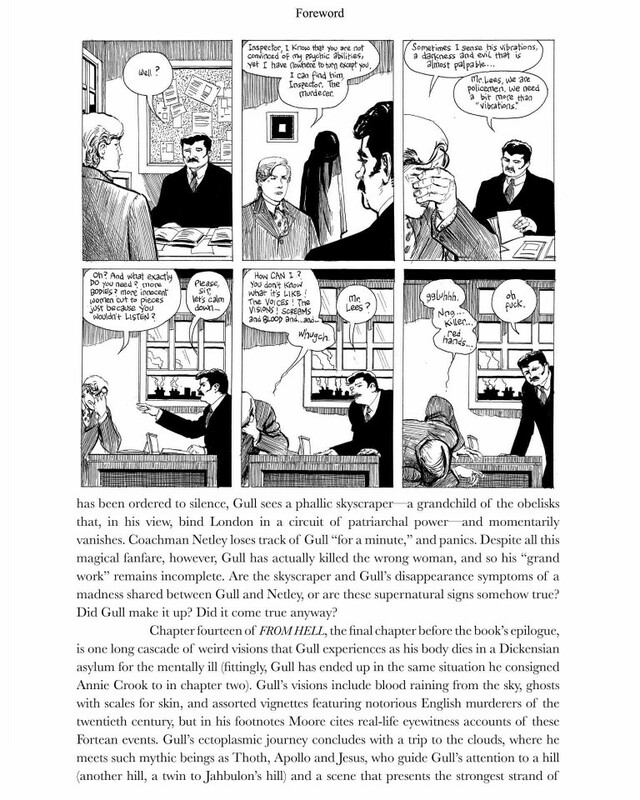 Here, Top Shelf Productions and Knockabout Comics present THE FROM HELL COMPANION, an astonishing selection of Alan Moore’s original scripts and sketches for the landmark graphic novel, with copious annotations, commentary, and illustrations by Eddie Campbell. 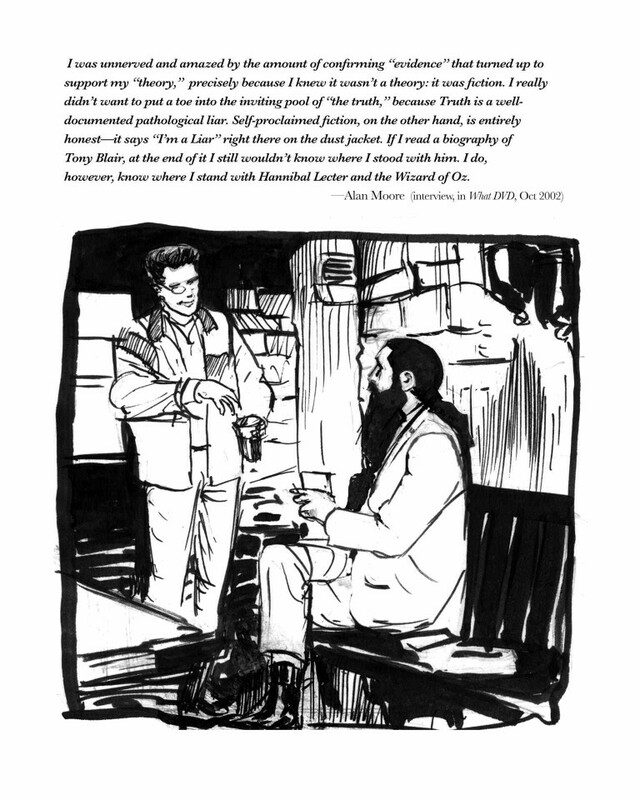 Here for the first time are a set of pages, including some of Moore’s greatest writing, which have never been seen by anyone except his collaborator. 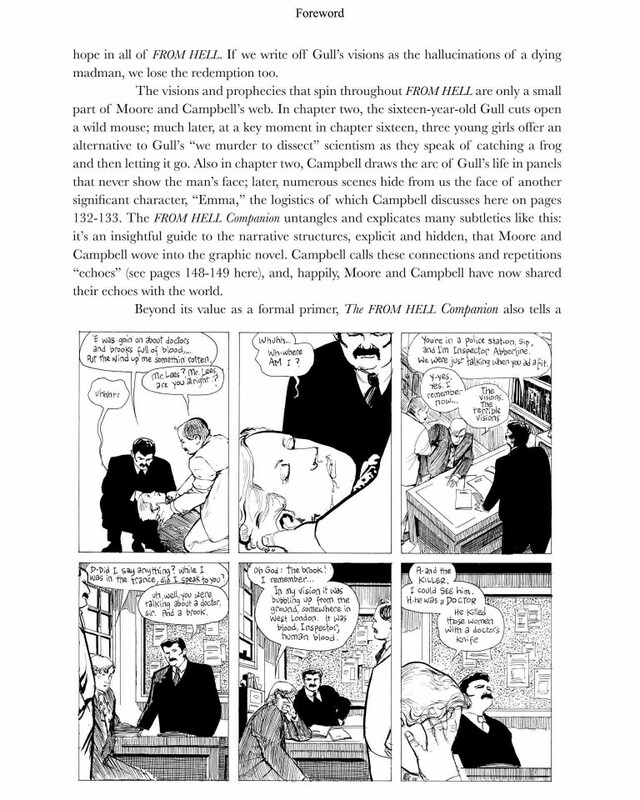 Joining them are Campbell’s first-hand accounts of the project’s decade-long development, complete with photos, anecdotes, disagreements, and wry confessions. 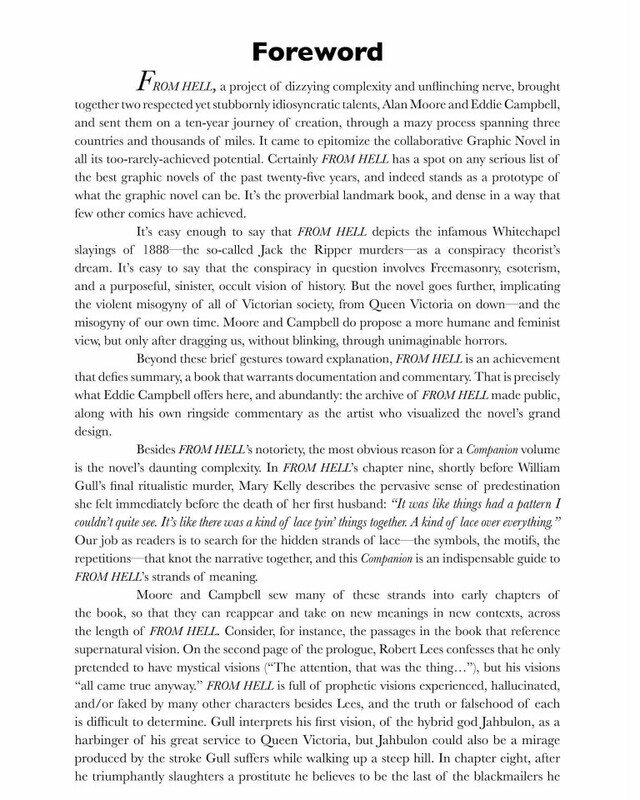 Arranged in narrative order, these perspectives form a fascinating mosaic, an opportunity to read FROM HELL with fresh eyes, and a tour inside the minds of two giants of their field.